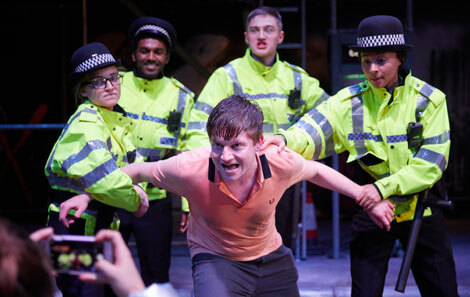 Simon Stephen’s new play, Rage, which has just had its UK premiere at the College, is based on a series of photographs by Joel Goodman, and captures the mayhem and excitement of New Year’s Eve 2015 to 2016 in Manchester city centre. The celebratory mood turns into violence, racism, marriage proposals and the opening of portals. Madness, youthful hedonism and the question: Where have the choices our government’s made left the youth of today? 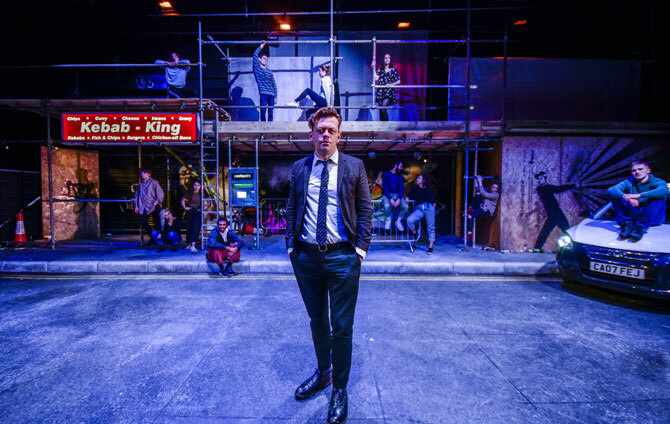 Stunned and reelingbyt the brilliance and openness, clarity and intelligence of the students @RWCMD – day one of rehearsal;s for the UK Premiere of RAGE there at the end of November. They grace my demonic play. It will be something special. Do come. “My association with the Royal Welsh College means a huge amount to me and I’m thrilled that the UK Premiere of Rage is happening here. 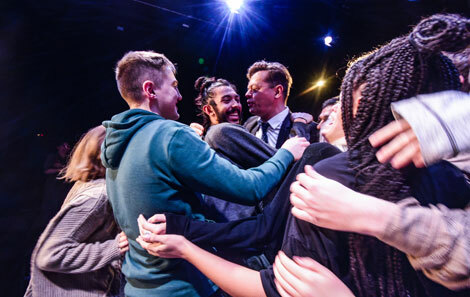 It means a profound amount to be a part of this creative process: Drama’s job is to distress and unsettle, and the rehearsal room is a centre for contradiction and investigation,” said Simon when he came to the College to watch the rehearsals. Welsh DJ High Contrast created the play’s soundtrack. Simon, who is also a Hodge International Chair of Drama at RWCMD, worked on Rage in development with RWCMD students and Vicky Featherstone, was awarded his Fellowship during this visit. Rage is directed by Elle While, who directed Stephens Blindsided at the College to critical acclaim.